The Tripawds Foundation ASAP grant #21 goes to Tripawds member shellyw to help pay for Lagertha’s amputation surgery. 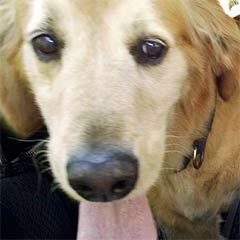 Read on for her story, and learn more about the Tripawds Amputation Surgery Assistance Program to see if you qualify. Lagertha came to live with us a year ago. My son and I were paired with her for therapeutic reasons. 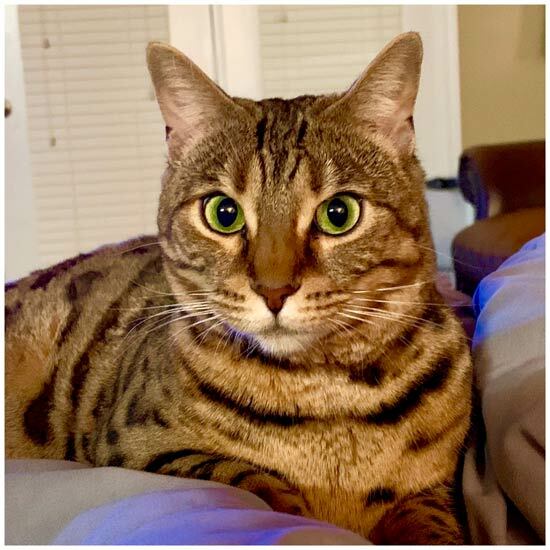 She is a Bengal kitty who was positioned for breeding. But after her first two litters didn’t make it, the cattery decided to find her a home as a pet. She has a very distinct personality (feisty, bossy, and LOUD). One day we came home and Lagertha was limping a bit. I waited a few days to see if it would get better, but it didn’t. One doc told us to just keep her on cage rest for a few weeks to give it time to heal as it was obviously NOT a large broken bone and she just needed to stay off of it. But with her personality and need to be active, we were unable to keep her contained for that long. We gave her pain drops and anti-inflammatory drops from the vet and that helped a lot. She was able to move more freely with less of a limp. But as soon as she was feeling better, she started darting around and climbing walls again, and the limp came back! After three months of back and forth, her leg was pretty much stiff straight and in her way most of the time. The vet eventually told us he would be agreeable to amputation because she had a small fracture at the knee, and it fused back together wrong and calcified. She’d bite you if you tried to touch it, so I felt she was in chronic pain. 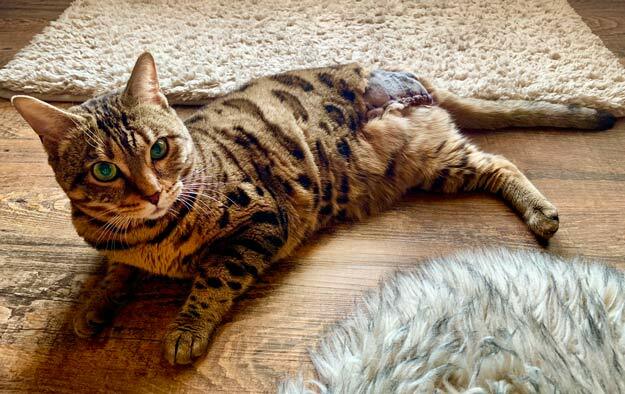 Lagertha is only 2 years old and we are deeply saddened that she had to lose a limb. We gave up our apartment to have the surgery done and just went on a wing and a prayer. I stumbled across this grant opportunity while searching for info on how to help amputee cats recover. Since the surgery, Lagertha has been doing better than anticipated. It has been just about a month and she has actually become more lovable? Meaning…she actually wants us to pet her and she will now lay close to me (she NEVER wanted to cuddle before). But she’s also been hallucinating (I think) or having phantom pains*? She could be laying peacefully and all of a sudden, she will jump up and start moving backwards scowling and growling (at nothing). We are trying her on Rescue Remedy for pets to see if that helps. She’s also now climbing on furniture and being more playful with us now and she seems happier now that she can sit up straight and lay on her front side without a constant curve in her spine from the stiff leg. My Aspie son says: “I hope she lives up to her name and handles this like a Viking” (cattery named her after a Viking woman). – I second that! *Tripawds Foundation encourages member applicants to participate in the Discussion Forums, where topics like phantom limb pain are discussed almost daily. We hope Lagertha’s people will hop on over for tips and support. Lagertha is a beautiful Viking Warrior Woman!! And she is so lucky to have found such a loving home with you and your son! You can ask your Vet about Gabapentin for phantom limb pajn. It’s generally very successful in treating that. The Remedy Rescue may be helpful, but not powerful enough for painful phantom pain. So glad the Magfie Moo Fund was able to help this very special kitty with some very special hoomans who live her!